A neighboring clinic staff came by to our clinic to give us these multi-coloured macaroons from Delifrance. They are way too sweet for my liking but they make an interesting subject in food photography. Took the above photo with my iphone and processed it with Instagram. Click here for tried and tasted multicoloured macaroon recipe courtesy of Delicious Magazine. I have never tried this, they look yummy !!! They do look photogenic! Nice capture. 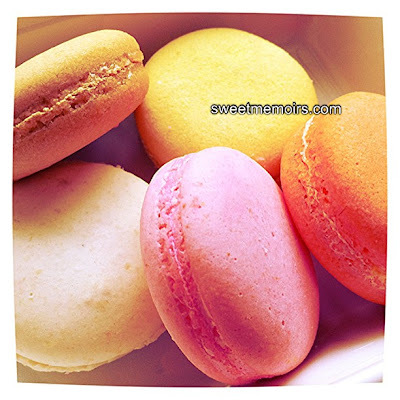 I thought I can taste these macaroons after clicking "here". che, they look so good, how do you use instagram? i downloaded the app in my iphone but don't know how to use it, haha, wish you are neighbor. is it for editing cell phone photos? Hi, just popped over from FTF. They look delicious - Ive only tried them once - keep meaning to try making them. Got to love Instagram! Oooh, I love macaroons but yeah, they're too pretty that I sometimes feel guilty biting into them, hehehe. I like that macaroons, so colorful haha. Visiting from FTF.